We are the leading supplier of Industrial Robot For Palletizing. 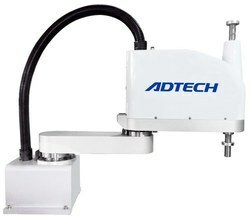 We are the leading supplier of Industrial Robot For Displacement. We are the leading supplier of Industrial Robot For Stamping And Bending. 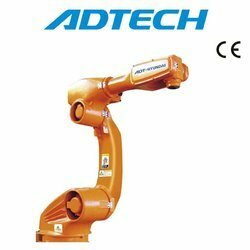 We are the leading supplier of Industrial Robot For Screwing. We are the leading supplier of Scara Robots for pick N place. We are the leading supplier of Industrial Robot For Pick And Place. We are the leading supplier of Industrial Robot For Visual Sorting. 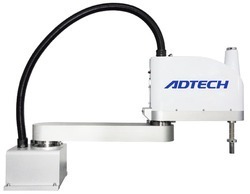 We are the leading supplier of Industrial Robot For Logo And Inspection System. We are the leading supplier of Industrial Robot For PCB Loading. We are the leading supplier of Industrial Robot For Barcode Scanning. We have established ourselves as a prominent distributor, importer, exporter, and supplier of Robotic Pallentizers. These desktop robot series has double-check system with the position error detection function. Offered desktop robot series are manufactured by finest quality raw material keeping in mind set industry norms. The entire collection of desktop robot series is available in various specifications as per the requirements of the clients'.